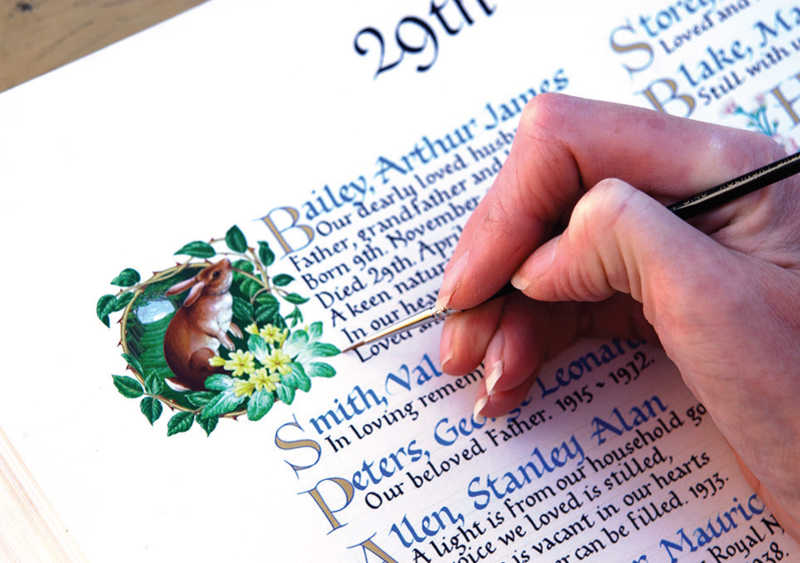 An inscription in the Book of Remembrance is an enduring memorial with no lease to renew, that may be viewed in the comfort of the Upminster Hall of Remembrance or Memorial Chapel in Romford Cemetery. entries throughout the year using the Digital Book of Remembrance. simply describe the item or provide a picture or photo to be copied. The books are sent away to the calligrapher to be updated. The date by which you must apply is shown clearly at the top of the application form. 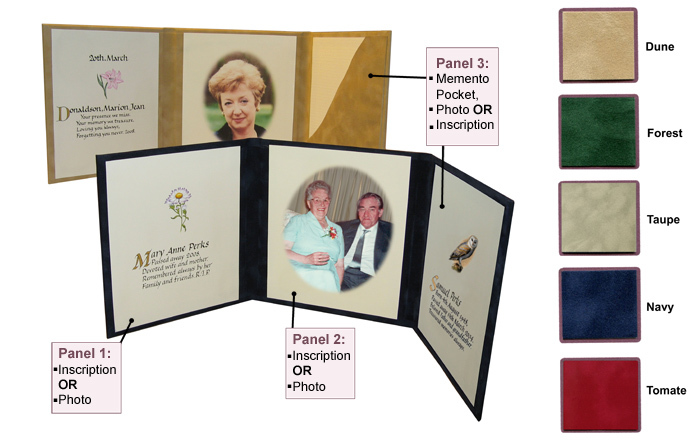 Triptych, (a three part folder for display). You may not leave flowers or other memorabilia on the floor or cabinets in the Hall of Remembrance; they will be removed. If you wish to have a floral arrangement on display you may order a Floral Display Stand for which there is a fee.